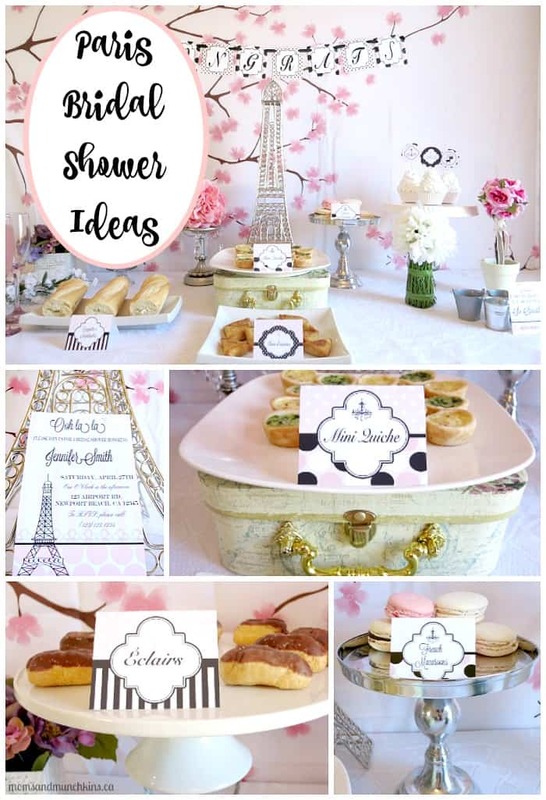 Paris is known to be “the city of love” so it’s no surprise to see the popularity of Paris Bridal Shower themes. 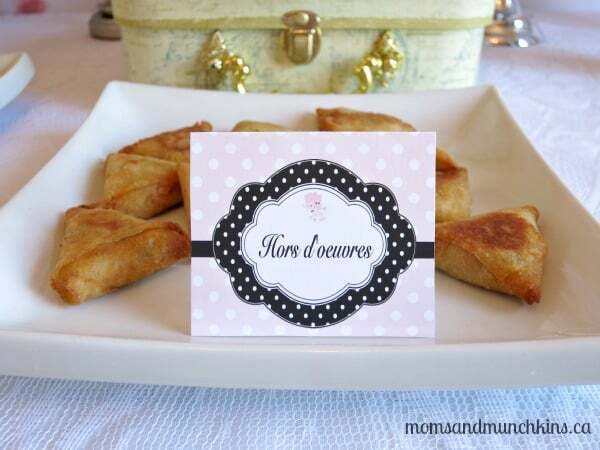 Here I’ll share some ideas for invitations, decorations, food and favors. 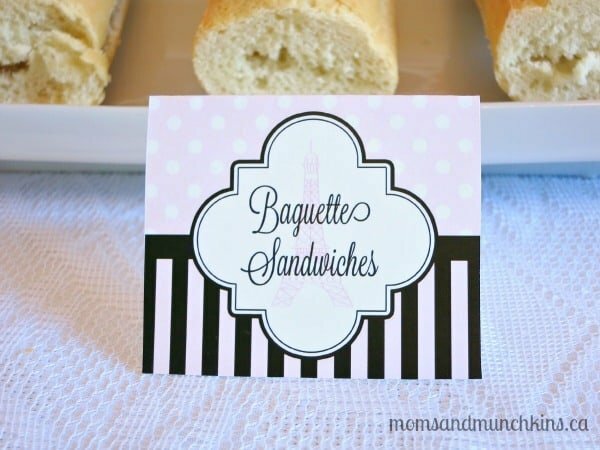 You can’t go wrong with French cuisine as party food! 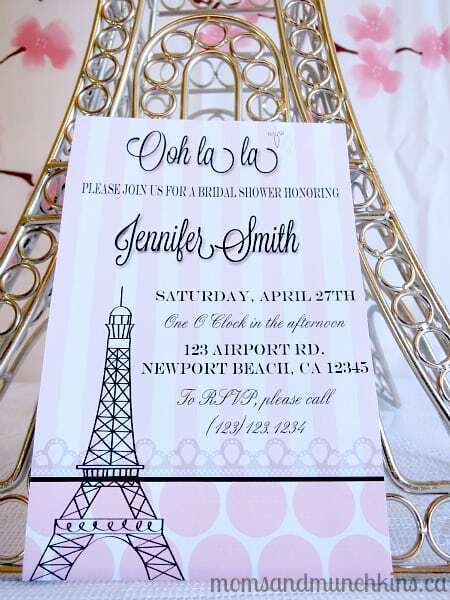 An invitation to a Paris-themed party could be a standard invitation size and include a pretty pink background along with the well-known Eiffel Tower. 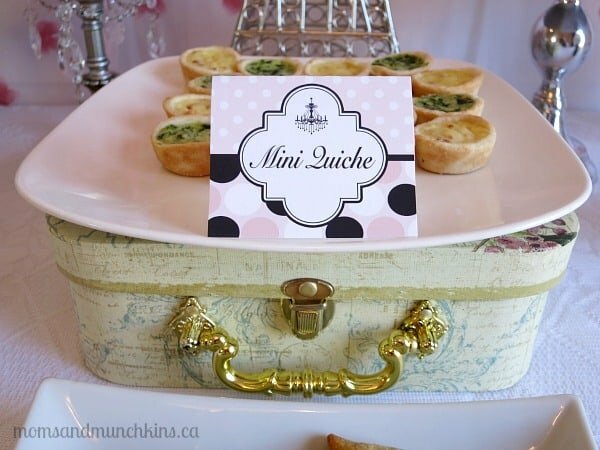 You could also go a little outside the box with an invite that looks like a plane ticket or a passport. 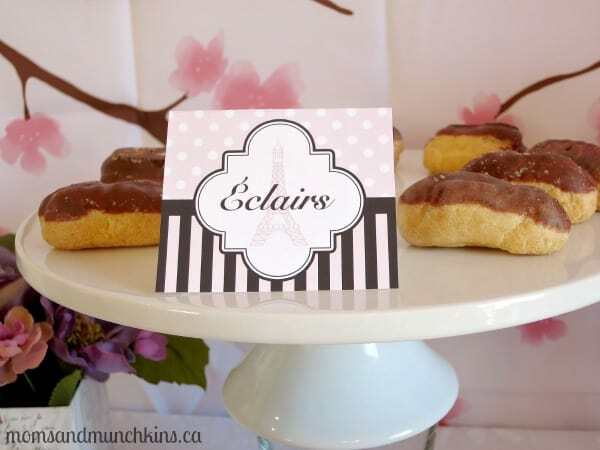 When planning your party invitations, keep in mind that you will have to mail some so you’ll want to select something that you’ll easily be able to find an envelope for. Can you guess what I used here for the background? A shower curtain! 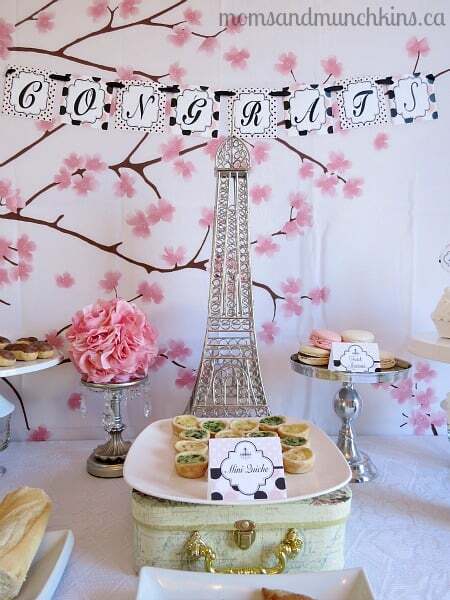 There are so many ideas for a party backdrop – plastic tablecloths, curtains, wrapping paper, a variety of paper fans – let your imagination soar! Using the natural beauty of the outdoors is always a great idea for a party but if that isn’t an option, a nicely decorated table with fresh flowers is a great alternative. 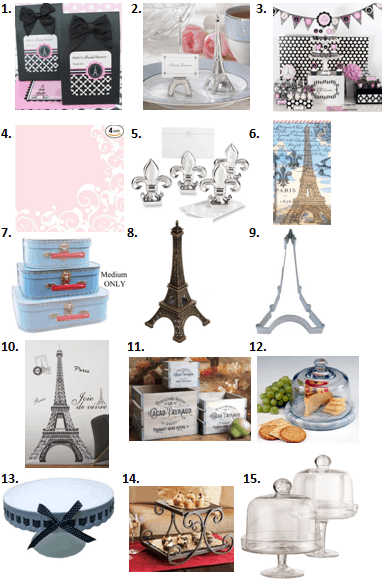 If there is one thing every Paris party needs, it’s an Eiffel Tower. 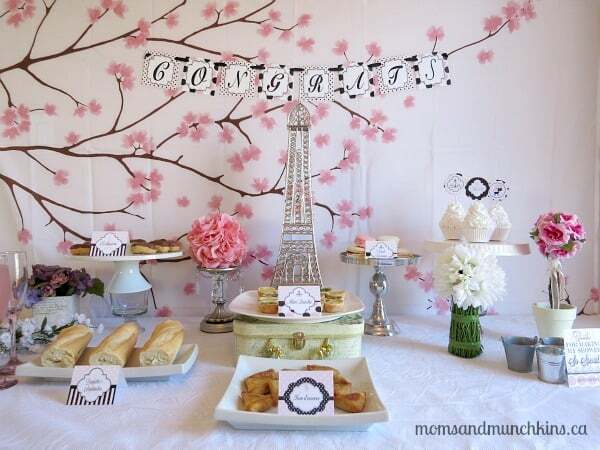 You can use it in so many ways – as a centerpiece for the table, as a holder for seating arrangement cards or even to hold special messages written by the guests for the bride (can secure to the Eiffel Tower with mini clothespins). 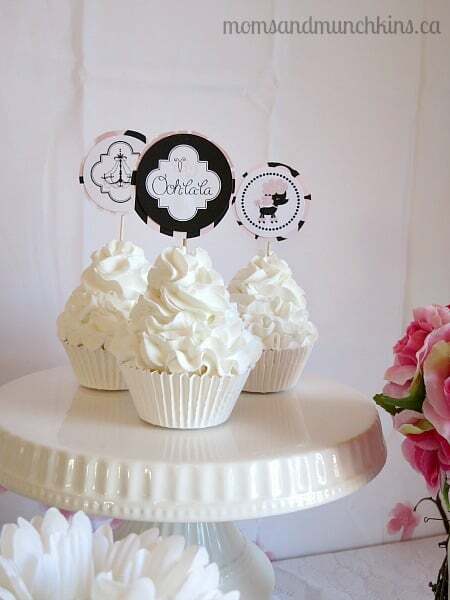 For more party ideas, follow us on Facebook, Twitter, Pinterest and Bloglovin’. 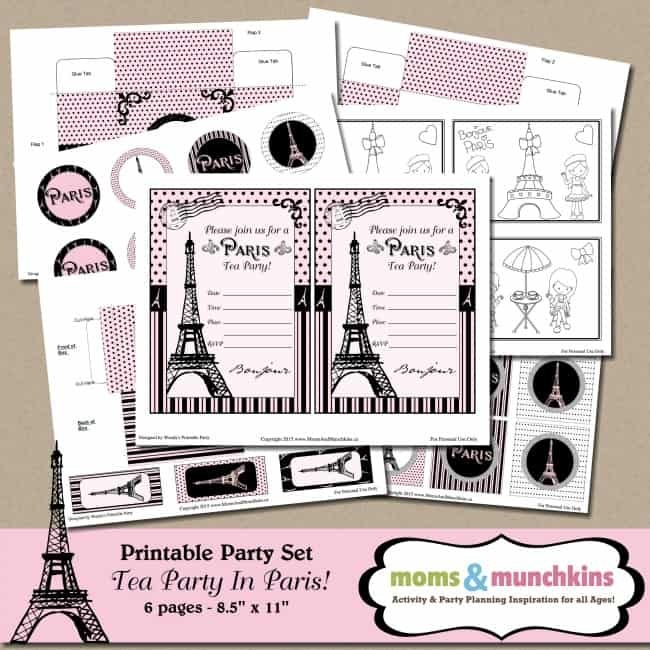 *Disclosure: The printable party set was provided to me for use in this party. I am an affiliate in the Amazon & Beau-coup programs. All opinions expressed here are my own. 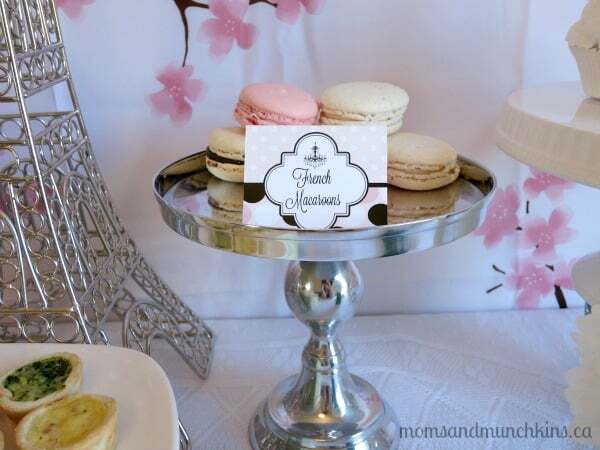 Oooh, you had me a macarons!! 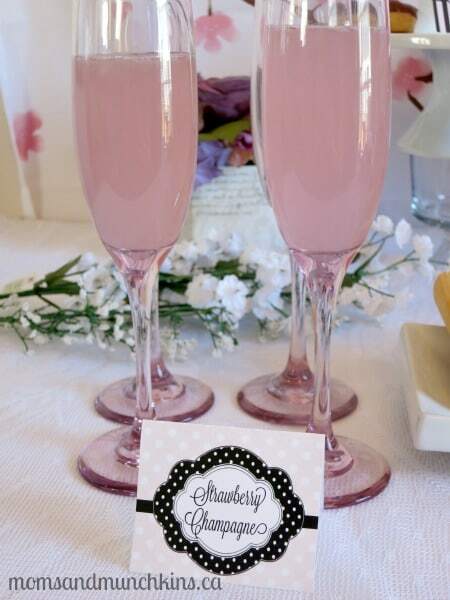 I never had a bridal shower…but it might have been something like the one you described. Can I have the macarons?